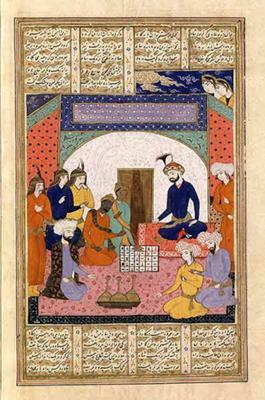 There have been heated debates all over the world about the origin of chess. The Western historians assert the fact that the origin was in India in the sixth century AD in the form of Chaturanga. Later, it was taken into Persia and eventually absorbed by Arab culture in 800 AD. But the counter point is that there is reference about Xiangqi in Chinese literature during 480BC to 221BC. The Western and Indian historians attribute modern chess to Wei-Qui, known as Go in Japan. But a lot of people are of the opinion that modern chess shows more resemblance to Xiangqi in nature and playing style. The earlier games described in Chinese literature looks much closer in nature with the modern version of chess and according to them chess may have originated in China first. But it is not without objections. Some of the historians, including Forbes are of the opinion that a four player version, using a dice was mentioned in the Puranas (3000BC) which is similar to Chaturanga. There have been arguments that Xiangqi is not the origin of chess and it was a just another game with some similarities to chess. Reading literally it means The Elephant Game and it has been used as supporting argument for the Indian theory. Elephants are the integral part of Indian culture and the lately added bishop in the fifteenth century is still being considered as an elephant in India. In the Spanish and Russian chess also it is the same. That is why historians argue that the origin is beyond any contention. Those who back China say that the modern version contain traces of divination in which pieces representing celestial bodies were moved about the map of the cosmos, divided by the Milky Way. The Chinese call the Milky Way a river the Xiangqi board has a river running through it. Both arguments carry weight in their own ways and a true verdict has not yet been arrived at. Still we can say that most of the historians had access to Indian and Persian documents and the same cannot be said about the Chinese documents. That is why the argument in favor of India carries a bit more weight than the Chinese argument. More research work needs to be done in the form of analyzing the facts related to the interpretations voiced by China. Only then can a conclusive opinion regarding the origin of chess be formed.